Kids’ Own was delighted to present our work at the Arts in Education Portal Spring Regional Day, which took place in the beautiful Leitrim Sculpture Centre, Manorhamilton, last month. 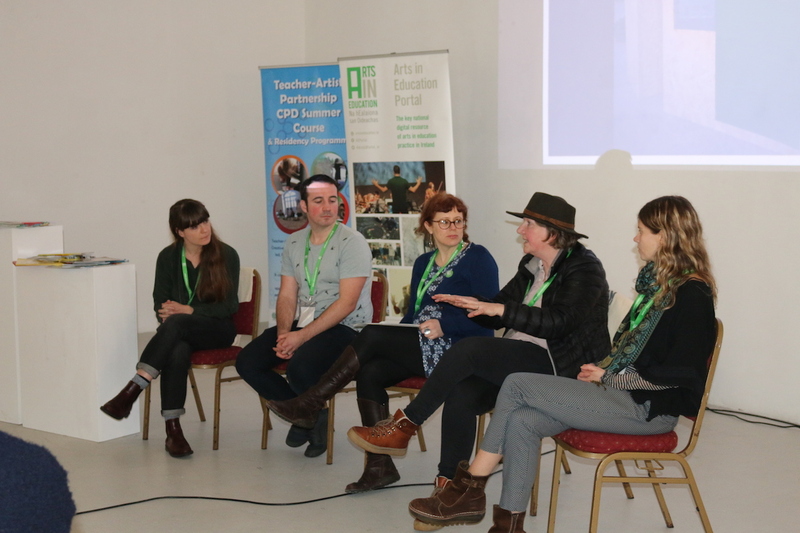 Teachers, artists, and other interested members of the arts and education sectors gathered at this event to share experiences, meet colleagues and hear about some of the arts in education projects that have been happening in the north-west. Jo Holmwood, Creative Director of Kids’ Own, and Mary Branley, Associate Writer at Kids’ Own, shared insights into Kids’ Own’s practice. Aideen McCole, Education Curator at the Irish Architecture Foundation spoke about their school programme and artist Kate Wilson contributed her experiences from working as part of a Teacher-Artist Partnership. This was a great opportunity for some very interesting discussion about working in the arts in education sector. 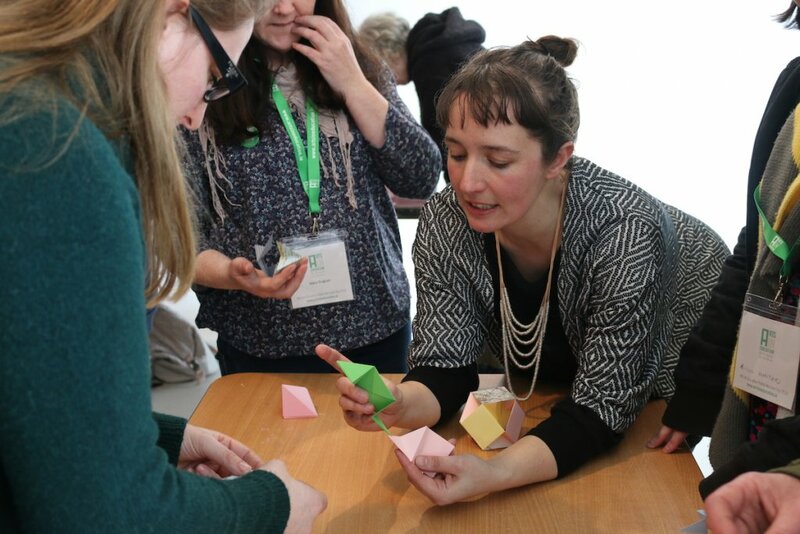 In the afternoon, Kids’ Own Associate Artist Vanya Lambrecht led a fascinating workshop on folding, using folded paper to create shapes, which opened up endless possibilities for use in classrooms and other settings.